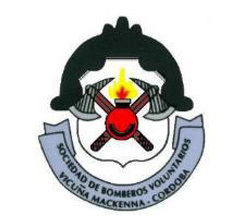 SOCIEDAD DE BOMBEROS VOLUNTARIOS "VICUÑA MACKENNA"
LA INSTITUCION FUE FUNDADA EL 2 DE JUNIO DE 1977 SIENDO SU PRIMER JEFE DE CUERPO ACTIVO EL SR. CARLOS GOMEZ Y SU PRESIDENTE EL SR. NEBIL ABEL RATTARO. EN EL AÑO 1978 SE OBTIENE LA PERSONERIA JURIDICA N 102"A"/1978, COMO ASÍ TAMBIEN SE RECIBE COMO DONACION DE PARTE DE LA MUNICIPALIDAD LOCAL UN CHASIS FORD 600 EL CUAL ES CARROZADO CON UN TANQUE 2500 LTS. QUE PASA A CONFORMAR LA UNIDAD N 1 DEL PARQUE AUTOMOTOR. 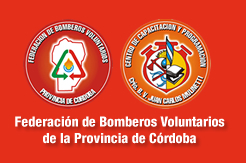 EN LA ACTUALIDAD FORMAN PARTE DE SUS FILAS 52 PERSONAS QUE INTEGRAN EL CUERPO ACTIVO ENTRE BOMBEROS Y ASPIRANTES, SIENDO SU JEFE EL COMISARIO JOSE ALBERTO GALLARDO Y COMO PRESIDENTE EL SR GUSTAVO SARGIOTTO. A SU VEZ EN SU PARQUE AUTOMOTOR CUENTA CON 12 UNIDADES PARA CUBRIR SERVICIO EN SU AMPLIA JURIDICCIÓN DE APROXIMADAMENTE 4.800 Km2.